The rat from the movie, Ratatouille is no ordinary rat! Rat from Ratatouille takes a roller coaster ride to live his dreams and inspires us in many ways. Here is how! You must be wondering what this movie, Ratatouille got to do with being a food author at Zayka Ka Tadka! We accept your doubts are very valid. However let us ask you a simple question – when was the last time you appreciated your mom or dad or grand mom or even your cook for that lip smacking dish? Is it hard to remember? Often we take things for granted and seldom realize the importance of showing love for what people deserve. At Zayka Ka Tadka, we are serious about food and even more serious about the one who prepares it! We have exclusive home chefs contributing their recipes as food authors. However our expedition is not over yet, as we are striving to bring out those gems that are still hiding to join our bubbling team! Here is some inspiration for all those budding and to-be authors! “Anyone can cook,” says chef Auguste Gusteau in the movie, Ratatouille. This movie, as unconventional it may sound, shows the journey of a rat from being jeered at by humans to being a chef, who can please humans with the famous French dish, Ratatouille. There is enough inspiration everywhere, if we are willing to look around. This rat’s name is Remy. Remy mistakenly gets hold of Chef Gusteau’s books in one of the houses, and eventually becomes his follower and develops passion for cooking. The phrase, “anyone can cook” gets him hooked till he became a renowned chef. If you are a person fond of cooking or often get praised for your cooking skills, may be it is time to take that plunge to become a food author at Zyka Ka Tadka. We provide a solid platform, that is essential to give the much needed recognition for what you do. Do you feel there is a lack of appreciation for your efforts in cooking? Are you still contemplating on whether to add your recipes on our platform? Have you not been able to contribute like our featured authors? If your answer is yes to any of the above questions, then read the rest of this post. Here are some life lessons from the movie to drive your motivation to step ahead. Remy, having born in a community of rats, who hide and eat the discarded leftover food, refuses to accept it as his destiny. He takes cooking seriously and does not settle for anything less when it comes to cooking and eating good food. So much so that, even when he has access to a restaurant’s food storage unit, he refuses to eat, accepting the process as stealing food. Remy challenges himself and enjoys the process of preparing food and feeding many guests at a local French restaurant. There is a scene from the movie when a restaurant chef accepts Remy as her fellow chef, inspite of him being a rat. Yet Remy does not settle for either shortcuts or accepts the less risky part of recipes. He believes in himself, takes risks and improvises in making recipes. His goal is to please the hotel guests by giving only his best. In one scene, Remy takes the help of his whole family in preparing a meal with a sharp deadline, but that did not stop him from sanitizing his herd before they try their hands at cooking. This shows that Remy goes to an extent of not hesitating to accept the help and yet not compromising on the quality and hygiene. The story is all about how humans come to terms with accepting Remy, the rat as a fellow chef without any prejudice about how rats are treated by humans. I know it sounds impossible to think of a rat becoming a chef in real life but what we can consider from this movie is the possibility of making your dreams real. 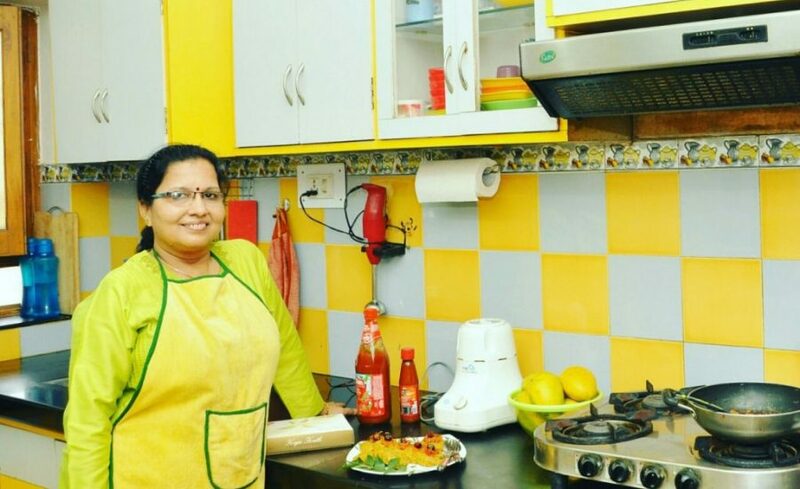 Whether you are a working mom or a home maker, a passion for cooking is a desired talent as any other talent out there.Cooking is definitely an art! If food is meant to just satiate hunger, we would have been consuming only raw foods every day. We crave for taste and are aware of how it affects our senses. Hence love for cooking should never be under estimated and one should not let others to make it look like an inferior activity. We all miss mom’s food as soon as we are away from home, isn’t it? It’s time we show appreciation and give back some love that it deserves! To help you get started.. If you are new to Zayka Ka Tadka, we are here to help you get started and contribute the recipes. Here is a step-by-step guide to how to add a recipe – text version and video version. See you soon onboard! Bread Breakfast Recipes : Here Are 11 Recipes With A Twist!